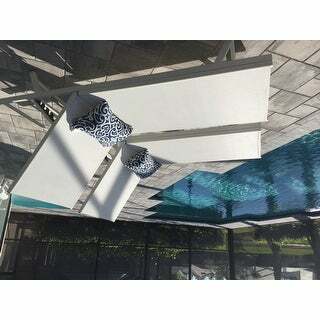 Very nice chairs, easy to move around and very comfortable. 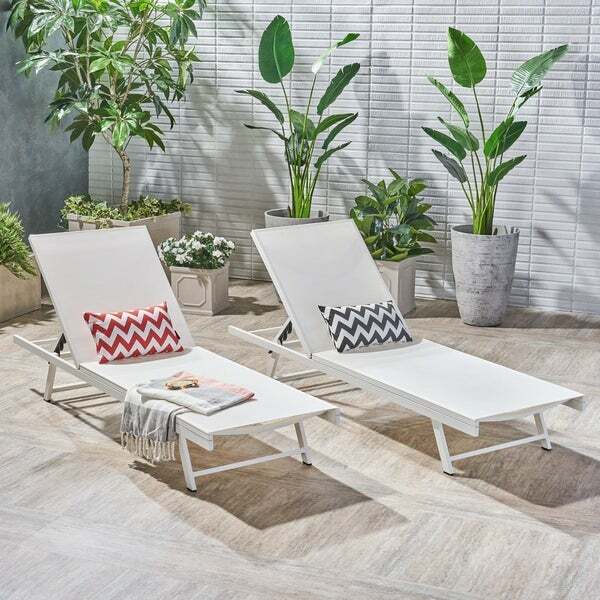 This elegant and unpretentious set of chaise lounges is perfect for sunbathing or poolside relaxing. Made from the highest-quality mesh and aluminum, they are light and maneuverable and yet, at the same time, highly durable. These will be the source of years of enjoyment. Dimensions 80.0 In. X 29.0 In. X 9.0 In. Beautiful piece. Looks expensive, and the color was exactly what I wanted. White metal with white mesh. Easy to assemble. All that was needed was to put the legs on (4 screws that was easy to line up). 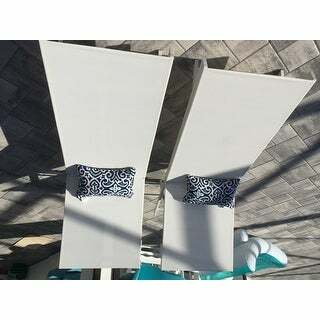 There was similar chairs at our local retail stores that was selling for 2x the price I paid. I attached a picture with pillows I also bought from overstock. "Are these stackable? What is the maximum weight the chair will hold?"